Don’t automatically replace upholstery when it becomes dingy and stained! KIWI commercial upholstery cleaners in Atlanta has 30 years of experience performing residential and commercial upholstery cleaning. The type of stain or the style of fabric doesn’t matter. Our expert upholstery technicians know how to handle every fabric and every possible issue. At KIWI, we can work with both natural and synthetic fabrics such as microfiber, leather, faux suede and much more. We have specific stain removal methods for every type which is rough on what you want removed but gentle on your upholstery. We use eco-friendly cleaning solutions that are non-toxic for people and the planet. Let Kiwi’s Atlanta upholstery cleaning experts revive old looking furniture in your hotel, office building, restaurant or executive suite. Wherever you have furniture and want to make a fabulous first impression, you can trust KIWI to make your sofas and chairs look like new. Our trained professionals have been cleaning and caring for the upholstery since 1987. KIWI also offers furniture sealant services, drapery cleaning and leather cleaning for businesses. After Kiwi’s commercial upholstery cleaning, your furniture will be extremely clean and will smell fresh. Truly clean furniture brightens up an entire room and will save your company money on replacement and remodeling costs. 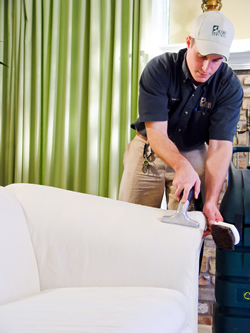 KIWI Services is one of Atlanta’s most highly respected upholstery cleaning companies. Call 470-375-9729 for more information and to discover how we can bring new life to your furniture with minimal impact to your daily operations. We work around your schedule and we work quickly! Our Atlanta furniture cleaning services are backed by a 30-day clean guarantee.